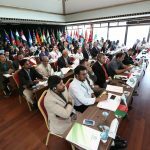 2.Annual Capacity Building Program for Green Crescents brought together 70 representatives from 34 countries. 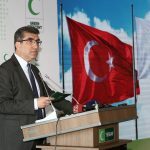 International Federation of Green Crescents President Mr. Karaman stated that Turkish Green Crescent has become a trademark not only in Turkey but also in the international arena. The International Federation of Green Crescents (IFCG) came together for the "2. 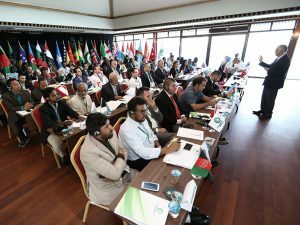 Annual Capacity Building Program for Green Crescents" hosted by the Turkish Green Crescent Society which was attended by 70 representatives from 34 countries, including Albania, Bulgaria, Indonesia, Kenya, Cyprus, Lebanon, Malaysia, Senegal, China and Tanzania. 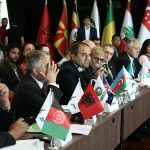 The Capacity Building Program focusing on countries’ efforts for fight against addiction and addiction policies was opened with the speech delivered by International Federation of Green Crescents President Dr. M. İhsan Karaman. In his speech, Mr. Karaman stated that Turkish Green Crescent has become a trademark not only in Turkey but also in the international arena. 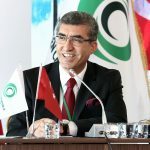 Prof. Karaman mentioned that Turkish Green Crescent has strengthened its corporate structure in recent years by focusing on quality management and is the first and only non-governmental organization to receive the "Excellence Award" by the European Quality Management Foundation while reminding that the Turkish Green Crescent started to set up consulting centers within the scope of rehabilitation work initiated in 2015 following the addiction prevention programs implemented throughout Turkey. He added that the Turkish Green Crescent has now become a center for scientific work in combating addictions. In this context, Turkish Green Crescent has developed effective public health campaigns and good practices that can be implemented in different countries in the future. 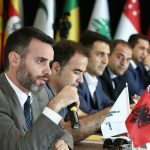 The Turkish Green Crescent, the oldest and most established organization in the field of addiction, organizes international branches as well as branches in Turkey. In this context, Turkish Green Crescent has reached the status of a global non-governmental organization, supporting the establishment of National Green Crescents all over the world. The goal is to transfer the aged experience in the struggle against addictions to the other countries and to support countries’ addiction works with National Green Crescents established in 34 countries. 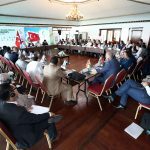 Having carried its international activities to the next level, Turkish Green Crescent gathered the current and future Green Crescents in April 2016 under the roof of the International Federation of Green Crescents (IFGC) by signing the organization declaration. Based in Istanbul, IFGC comprises of Turkish Green Crescent as well as National Green Crescents and supervises other countries. IFGC currently has 34 members and the number of members will reach 60 countries by the end of 2018.